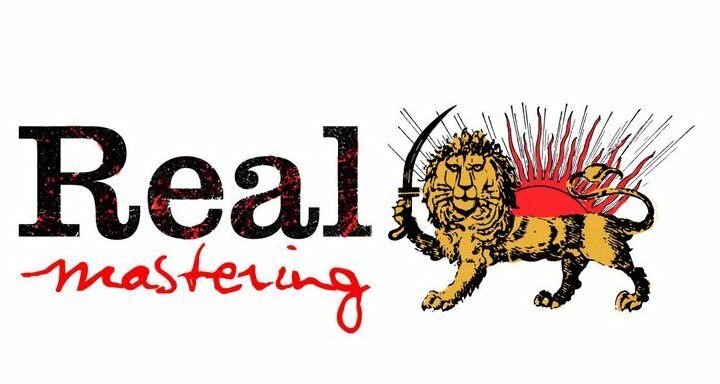 Real Mastering makes mastering your music a pleasant, effortless and satisfying experience. Continue Reading →We have carefully selected the finest equipment and have created the most comfortable atmosphere to make the process a real pleasure. We have developed proprietary software and technology that produces a final product that truly has the feeling and sound of analog audio in a digital format. This process creates the best sounding mp3 files ever heard. The studio has been designed to provide a natural, and accurate acoustic environment that translates perfectly to the real world of listening. The signal chain has been optimized to be as simple and transparent as possible while offering a wide range of options to accommodate all styles and genres of music. Our custom monitors are coupled with the finest amplifiers to provide accurate, musical listening at any volume levels. You will find yourself hearing your mixes with a new perspective you can trust. Rob Fraboni has personally selected the equipment and designed the environment, both acoustically and aesthetically. We offer the finest of both analog and digital capabilities, this you can take for granted. In addition, you are getting the best room acoustics, the best engineers and the best support team. Our goal is to help you realize your vision by working in partnership with you. If you attend the session you will find a friendly, family atmosphere. And you will hear us achieve your goals with our extensive experience. Real Mastering is about attention to detail and sonic excellence. We are in the business of mastering music, in any delivery format. Whether it’s CD, DVD, digital download, or analog, we will provide the best sounding masters of your recording. This philosophy is also applied to the final step of creating a production master for distribution. All masters are put through rigorous quality control to ensure absolute sonic superiority. This standard applies to masters for CD as well as master files for online/digital distribution. You’ve sweat the time, the money, and your art. In order to accommodate convenience and distribution, your music gets altered. Compression removes the subtleties, nuances, and feel of your music. The good news? Rob has created a patent pending process which restores the feeling lost in digital audio. Digital audio has been shown to have a detrimental effect on the body’s central nervous system in that the sound waves are disassembled and then ineffectively reassembled. Rob puts all the pieces back in place until the wave is complete and the body is at peace again. Digital sound is the aural equivalent of a sonic strobe, similar to fluorescent lighting which in essence is a rapid fire strobe light that literally zaps a person’s energy. Rob’s technology improves the experience of listening to both video and audio digital sound. Not only does his process increase sound quality, it also decreases the stress the body and subconscious feel when listening to digital sound, which causes the same biological reactions as fluorescent lights. If you are a member of the MP3 generation (or have a child or relative that belongs to it), you may have noticed the MP3 listening experience. Often, listeners jump from song to song. Many times, these jumps happen mid song. Complete songs don’t get heard because the subconscious triggers an automatic listener reaction to digital stress and the listener clicks away. Rob’s exclusive technology eliminates digital sound stress and your listeners’ attention span is greatly improved. You get heard. Rob brings out the elements in your music that you can almost touch, restoring your art back to it’s natural state. Sounds so true, you don’t have to touch them. They touch you. you’ll know it when you hear it. And once you’ve experienced your music with Rob’s digital feel, there’s no going back. Would you like to hear Rob’s exclusive digital cure on one of your songs? Get in touch with Rob through the contact form below and we’ll arrange it. An explanation of your musical project and the song. A downloadable link to a .WAV or other lossless file of the song you would like processed. Have more questions about mastering? Read Rob’s Mastering F.A.Q.